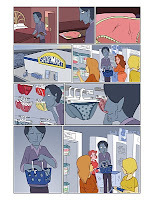 Here's some storyboards we've received for our project that we couldn't be more happy with! The point of the storyboards is to just exemplify how little scenes and minisodes of the show would be like (we may also be picking our favorite(s) for the future to make our actual first animation with). 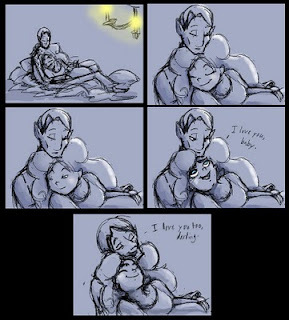 In the first one we see Gem and Veil cuddling and sharing a quiet moment (awww, they love each other! ), and in the second one we exemplify Gemini's appealing charisma. These comics will be used in the pitch to better help illustrate our characters and their funny personalities, and also how our story works. The idea for these strips are to exemplify the idea of running themes we'll have from minisode to minisode, all of which are small, minute details that when viewed sequentially add much more to the story in general (note the mention of blueberries in the first one and the blueberry print of the underwear in the second one - do you get the hint that maybe Veil likes blueberries? :)). 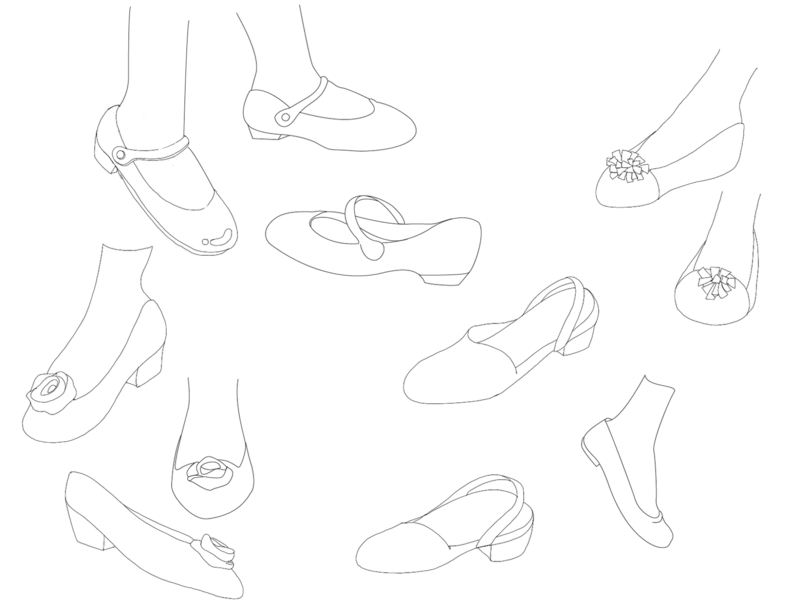 Sorry for the delay, but here are the new line works for the shoes. 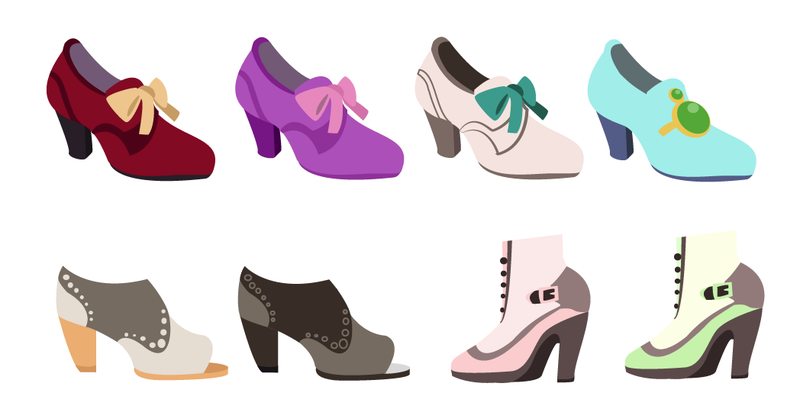 Next will be the dress work, but as a bonus, here is a nice rendition of the shoes by one of our colorists Jameala A. Simmons. She even reinterpreted one of the patterns to form another attractive variant. Good Job! Also, now that we are on week 6 things seem to be finally coming together! As a reiteration, I will be available to meet on Friday at Monty from 12:00pm-3:00pm for anyone confused or needing assistance. Also for those interested I will be giving a more advanced lecture on illustrator this weekend (email me if you are interested, so I know how much files to bring as well as what date is most convenient to you) These will mostly be a supplement to the one I gave earlier (link). It's going to be on combining and cutting paths from already set shapes. And we will be working on developing clothing as well as characters for this one.